The Holy Grail Of Web Marketing Is Said to Be To Rank By Organic Means. In practice this is very rarely the case. Most businesses who have an online presence are using some version of SEO technic to ‘game’ Google or Bings ranking systems. 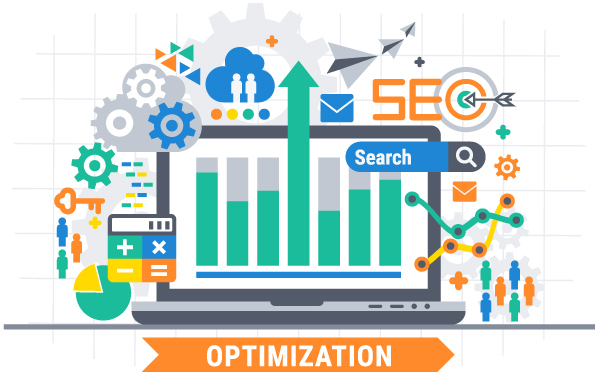 There are many techniques which are employed to gain a favourable organic search ranking. In general terms there are Whitehat Techiques and there are Blackhat Techniques (Note: There is also a sub set of Blackhat SEO which are illegal techniques, but they unlikely to apply for most legitmate businesses and are not something we practice). Depending on your goals and business risk profile Whitehat or Blackhat techniques would be recommended. We will illustrate the difference between the two on this page. Note: We operate with full disclosure and always act in the best interests of our clients and their goals. Blackhat SEO is often misunderstood it does not mean ‘deception to clients’ it is just another type of marketing, which can be highly effective for its purpose. The vast majority of businesses are targeting their local market within a maximum of 100 kilometre radius. Google and other search engines recognise there is a distinct difference in local business owners goals. Therefore there are a host of techiques and tools we can employ to improve search results for local businesses. It is a highly detail orientated process requiring a lot of experience to execute efficentently. Some of the work we do to achieve this are; Website Performance to the target market, local citiations, Local Backlinking, Google App Stacking, Google Maps, Google My Business, Replication of details, Local keyword research, Extensive Locally based content, Video Ranking, Analytics, Call tracking, Detailed reporting, Social Media Signals, Pay Per Click Advertising, Click Through Rates and quality web coding. Optimising SEO for a business for multiple locations is an extension of local business search in most cases. With the addition of multiple highly local content pages and Google My Business Mutli location entries we can have your business ranking in multiply location without being penalised for duplicate data or the expense of running many websites for each location. There is a distinction between national bricks and mortar businesses and National eCommerce business SEO. For Bricks and Mortar businesses we expand on our multi location local business technique with advanced website coding to allow for more dynamic control of locations, automated geo tagging of services/products. Furthermore we tag a mix of national quality backlinks with high DA local citiations and backlinks for high value local searches. Lastly, we support the organic search with targeted PPC marketing to maximise brand awareness and ensure every search has the potential to be captilised on. A Holistic approach is still needed for eCommerce Search ranking. Local Serps is for trust factors only. The bulk of the effort is put into, masses of relevent quality onpage content targeting high ROI search terms, Imagine and Video Search, Highly relevant backlinks, Strong Social Signals and Click through, Remarketing, Re-Targeting, PPC, Social Media Groups, Influencer Outreach, Product reviews, Highly details product descriptions, Strong Search Title tags, Abandon Carts, automated emailing, Payment Systems and most importantly website load times. Along with traditional areas of search optimisation more estiblished brands have their biggest opportunities through Building Brand Awareness and improving customer engagement on page and through social media. Quality content is always key, however planned systems and methods of engagement is more critical and profitable overall. Artifical intelligence Systems / automated bots to supplyment first level personalised engagement and conversions are exciting new ways of optimising your business digitally online. Searches from mobile devices now exceed searches conducted on desktop computers and the trend is increasing. In Australia alone on average sixty percent or more of all local searches are from mobile devices (Google, 2016). Google also says these local mobile searches lead to some of the most profitable customer enquiries for local businesses. Furthermore, twenty five percent of those searches are voice searches! Few other SEO companies worldwide are even offering this service or unaware of the impact of being able to domainate 25% of all searches with little to no competition. Virtually, any business can benefit from being voice search optimised. To understand the impact not being optimised can have on your business just imagine, you are driving on your way to buy XYZ widget and you forget the directions. So you voice search the product from your phone while driving. Unfortuntely the place you had intended to go to is 3 pages back in the results. You see Bob and Janes XYZ widget store is the first result and in the direction you are going anyway. What do you do? You go to Bob and Janes Store and the non-voice optimised business is forgotten. This type of situation is playing out everyday, not to mention the use of voice search from ablity impaired users.